This wall hanger has flattened metal bars which make up the entire motif of the product & give the basket a very classic, sturdy look & feel. 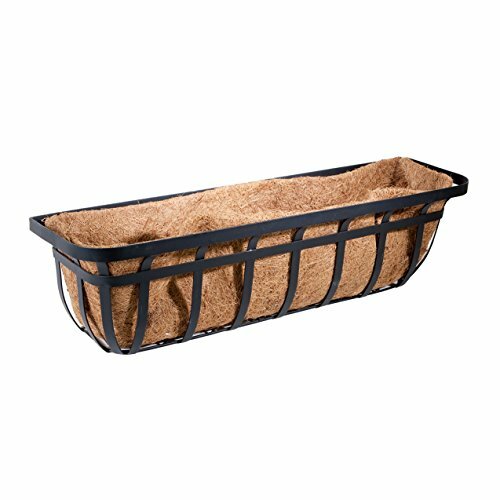 The included coco liner prevents soil from spilling out, & the large 29" long planting area offers plenty of room for flowers & vines. Included is mounting hardware which allows for easy installation.